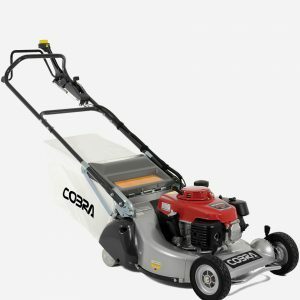 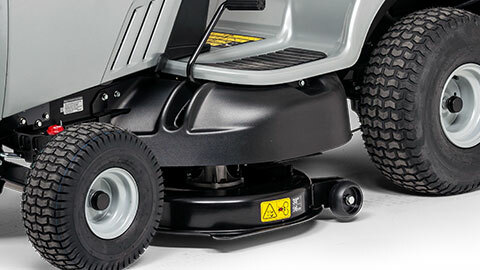 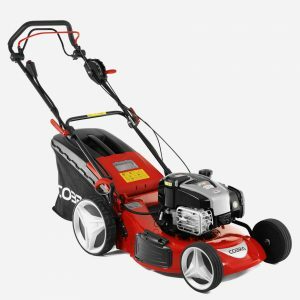 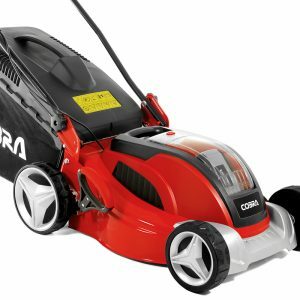 The MRD200 sit on mower has a cutting width of 96 cm and you can set the grass height of cut between 3,8 and 8,9 cm. The reliable Briggs & Stratton Intek™ Series 7220 V-Twin engine gives you the power to mow in every grass condition, plus it will run for years and years to come. 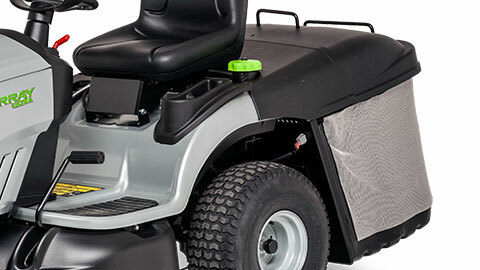 To top it off: all Murray tractors come with a 3-year limited consumer warranty. 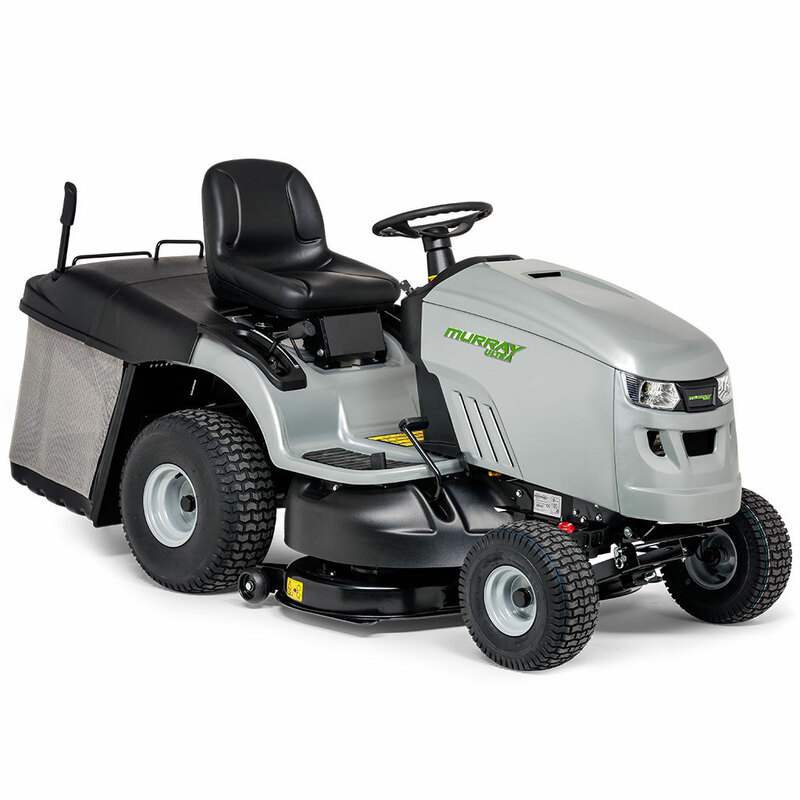 All Murray rear discharge lawn tractors provide you comfort and high mowing efficiency. 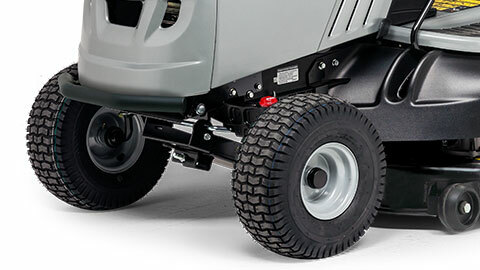 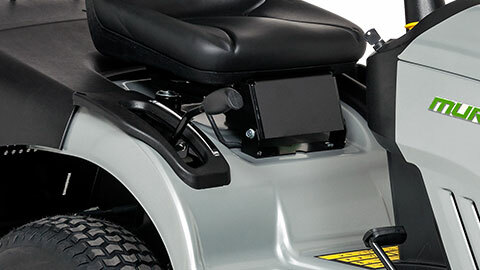 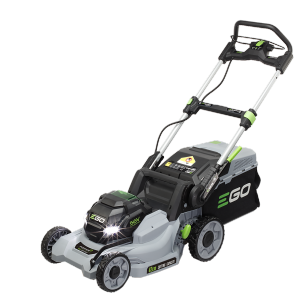 They are equipped with a hydrostic drive system, cast iron front axle, easy steering and electric start to make mowing easier and more fun. 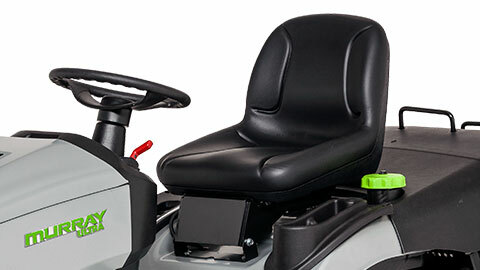 Plus, with the comfortable lever you can easily empty the 350 litres collection bag from your seat.